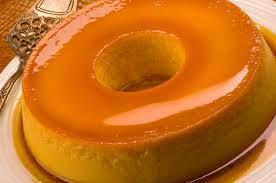 This pudding (flan) is sweeter than the Mexican flan. It's one of my favorite desserts. Blend together the condensed milk, milk and eggs in the blender. Beat until well blended. Leave resting while making the syrup, this process is important for the pudding to come out without holes. Place the sugar in a pudding pan (you can also use bundt pan) and put on the stove over low heat. Melt the sugar until it forms a golden brown syrup. Dispose the pudding mixture in the pan, wait 5 minutes and cover with foil paper and put on top of a bigger pan full with hot water. Preheated the oven at 356ºF (180ºC) and place the pans and let it cook for about 2 hours. When firm, but you are still able to jiggle just a little bit, remove from the oven, wait for it to cool down a little bit and place in the refrigerator for at least 8 hours (better leave there overnight so it comes out cold). 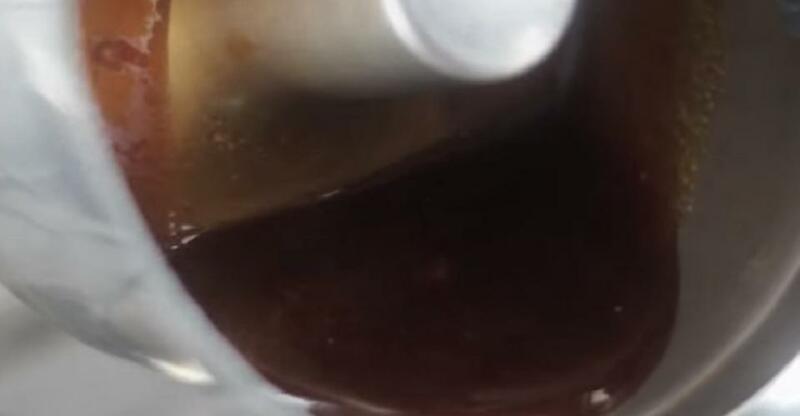 This is how the syrup must look like when ready to put the pudding mixture in it.